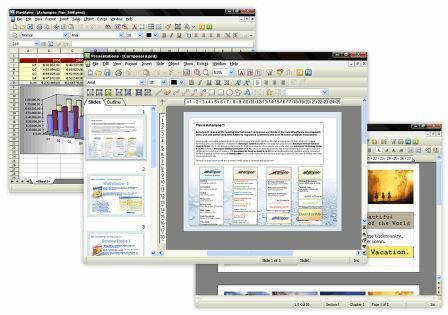 Ashampoo Office 2008 is the re-branded version of SoftMaker Office (which its SoftMaker Office 2006 is also free), an alternative Office productivity suite to Microsoft Office for Windows, Linux, FreeBSD, Windows Mobile Pocket PC and Windows CE. 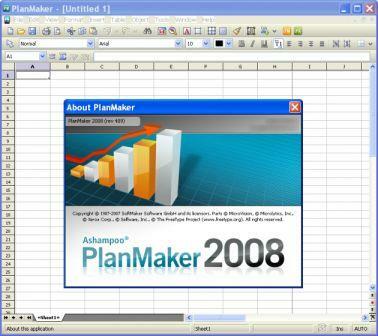 However, Ashampoo 2008 is for Windows only, and also consists of TextMaker (word processor), PlanMaker (spreadsheet similar to Excel), and Presentations (presentation graphics similar to PowerPoint). 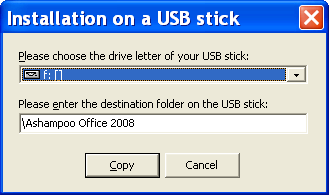 Ashampoo Office 2008 has many similar functions of the correspondent programs from Microsoft Office, OpenOffice.org or WordPerfect Office, besides several unique features such as ability to run off USB flash drives and integrated reference works. Ashampoo Office 2008 has own native file formats similar to SoftMaker Office, but also supports and can read or write Microsoft Office file formats and Open Document Format (ODF used by Open Office, though in TextMaker only. Integrated five-language translation dictionary (English, German, French, Italian, and Spanish). Improved master pages with texts. Bordering and shading whole pages. Page breaks now independent of printer. Improved import and export of Microsoft Word files. The reading and also the exporting of OpenDocument files. New template manager manages paragraph and line templates. New print preview function to control the printed image prior to print out. Several pages (2, 4, 6, 8, 16) on a single printout to save paper. Ashampoo Office 2008 normally costs $59.99 to purchase a single license, which is already comparatively cheaper than pricey Microsoft Office, or its licensee SoftMaker Office 2008 which costs US$ 79.95 a license. But now, it’s possible to grab a free license to Ashampoo Office 2008 with genuine working serial number or key to activate Ashampoo Office 2008 as full version product. To grab the free serial number, just follow these steps. Fill in the name, address, city, postal (ZIP) code, state or province, country and email address, and then click on submit registration button. A personal serial number with further instructions and download links will be sent to the registered email. Among freebies in the email is additional dictionaries and proofing tools for Swiss German, French, French (Canada), Italian, Spanish, Spanish (Latin America), Portuguese, Portuguese (Brazil), Dutch, Danish, Swedish, and Norwegian, which can be downloaded from smw08dict.exe. Download Ashampoo Office 2008 version 3.1 setup installer via download.com or directly from Ashampoo with direct download link: ashampoo_office2008_310_fm.exe. Activate Ashampoo Office 2008 with the serial number received. 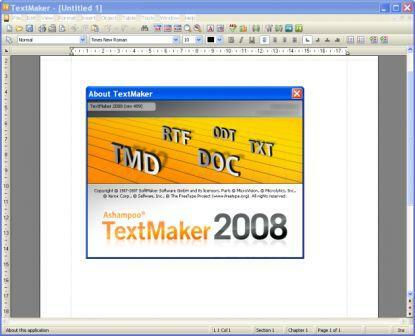 The service pack for SoftMaker Office 2008 can be downloaded and installed for Ashampoo Office 2008. The SoftMaker Office 2008 SP can be downloaded from here, where the latest version of build 505.